Briargate is nestled on the east side of I-25 with breathtaking views of the Front Range and Pikes Peak. The landscape in Briargate is hilly, lending in part to some of those incredible views. This desirable area of Colorado Springs includes single-family homes ranging from upscale tract to custom-built. There is something for every family in Briargate! Development in Briargate began in the 1960s, but really took off in the 1990s. Some of the newer subdivisions – Wolf Ranch, Cordera and NorthFork at Briargate to name a few – are continuing to expand. 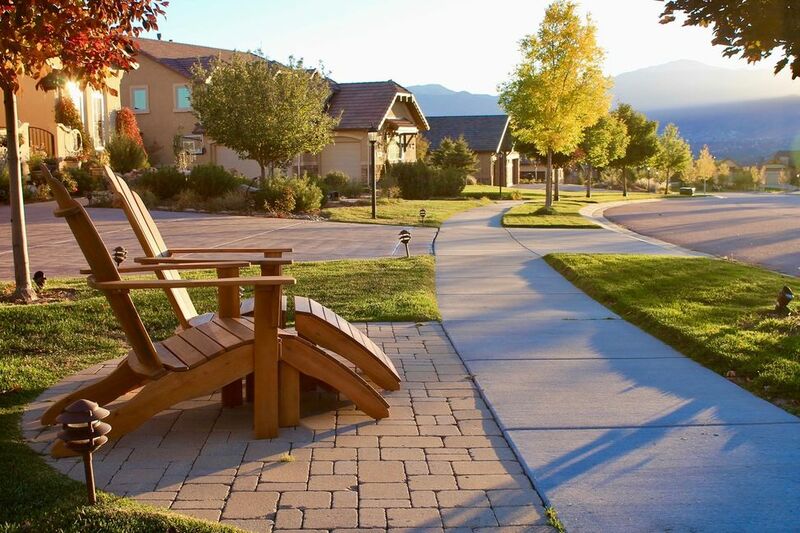 As Colorado Springs first master-planned community, Briargate is an excellent fit for young families. Briargate offers easy access to I-25 and is closest in proximity to USAFA with the south entrance to the base located where I-25 and Academy Boulevard intersect. Fort Carson is an easy drive from Briargate, and although Peterson AFB is a bit farther, the drive is definitely doable for those who don’t mind a bit of a commute. From hiking and outdoor recreation to shopping and dining, Briargate offers many outstanding and convenient activities, as well as new school construction. Highlights you should note for the area include the Briargate Family YMCA, Pine Creek Golf Course and the upscale Promenade Shops at Briargate. The elevation in Briargate is approximately 6,900 feet. Overall, the weather in the Briargate is fairly temperate, especially compared to other areas of Colorado Springs. You can expect average highs in the winter to be in the upper 30s-40s, with the lows dropping to 15-20 degrees. Summertime temperatures average about 75-80 degrees with the lows in the 50s.